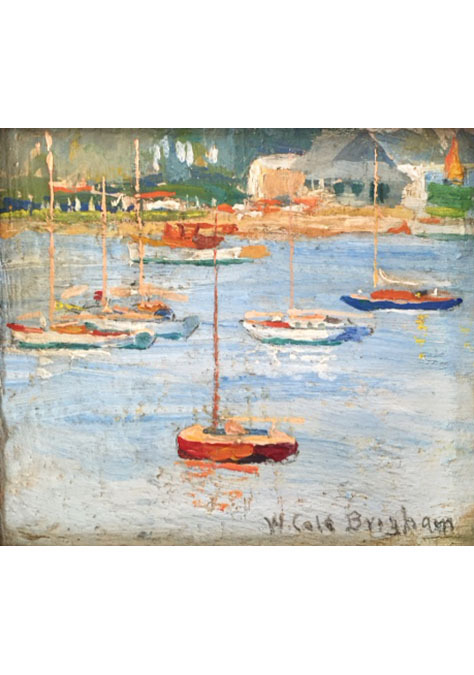 Walter Cole Brigham (no relation to William Clarence Brigham, Jr.) was born January 11, 1870 in Baltimore, Maryland. 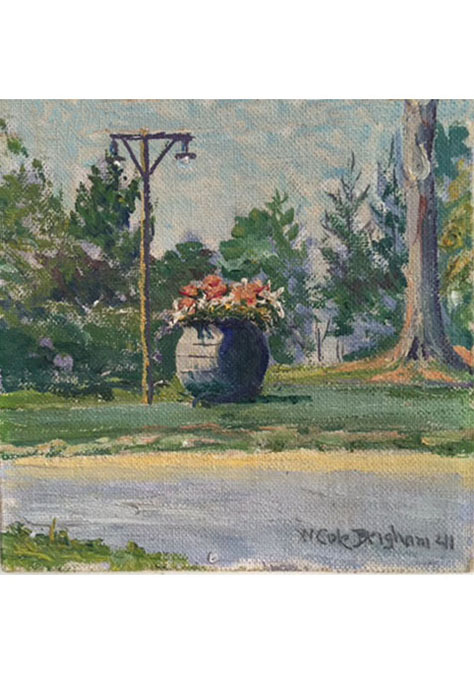 His father, William Theodore Brigham, was born 1835 in Watertown, Massachusetts. His mother, Marion Billings Cole, was born in 1838 in Maryland. His parents married in 1864 and had three children. He was the second born. 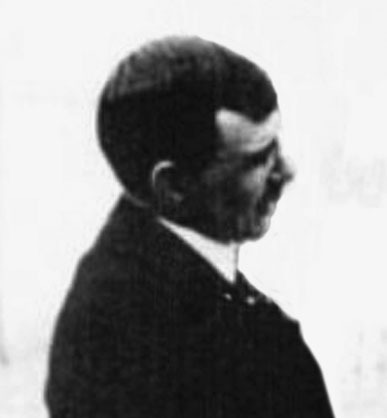 His older brother Charles was born in 1867 and his younger brother Theodore was born in 1876. They lived at 406 Pressman Street in Baltimore. His father was a successful businessman and president of the Brigham, Hopkins & Company of Baltimore. Walter Cole Brigham graduated from high school in June of 1888. That September he entered Johns Hopkins University, where he studied Physical Sciences and Chemistry. In 1892 during his senior year at college, he became ill and was forced to leave school to recuperate at home. He did not complete his degree or graduate. He took classes at the Decorative and Maryland Institute Schools. He also received private art training from Andre Jean Castaigne (1861-1929), who was a member of the Charcoal Club. On December 8, 1892 the World's Fair Commission selected his design for the Maryland Medal. In describing his work the artist said, "I have endeavored most carefully to combine effectiveness with simplicity, to have the reputation of our State well defined, to embody the evidence of patriotism and record historical facts in a way simple and brief." In 1894 he moved to New York City and began to study at the Art Students League of New York, where his most influential teacher was William Merritt Chase (1849-1916). The school is on 215 West 57th Street. While in NYC he lived in his parent's apartment at 143 East 59th Street, which is ten blocks east of the school. On March 6, 1896 he was elected a "Life Member" of the Art Students League of NY. In 1898 he spent a year in Italy studying art. His passport application described him as five-five, blue eyes, brown hair, and light complexion. 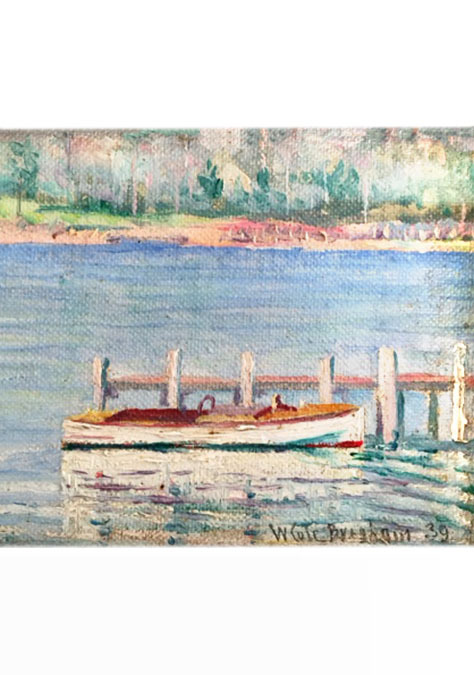 In 1899 he returned to America and moved to his parent's home on Shelter Island, NY, where he became an instructor at the Summer School of Art of Shelter Island. His brothers, Charles and Theodore owned and operated a shipbuilding and construction company in nearby Greenport, NY. 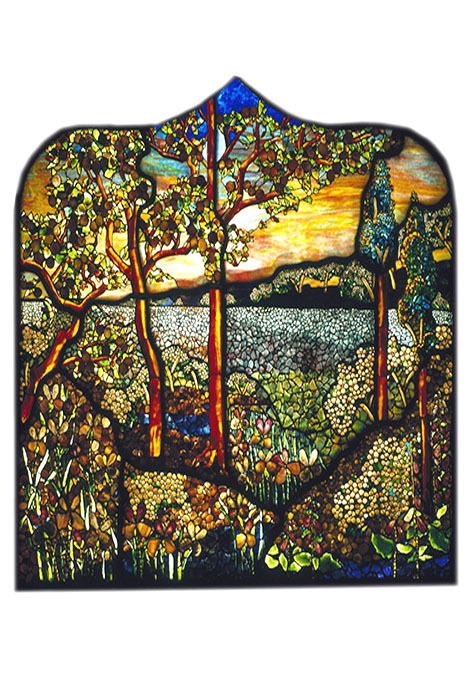 In 1901 he created stained glass windows for the houseboat of the famous actor, William Gillette (1853-1937). 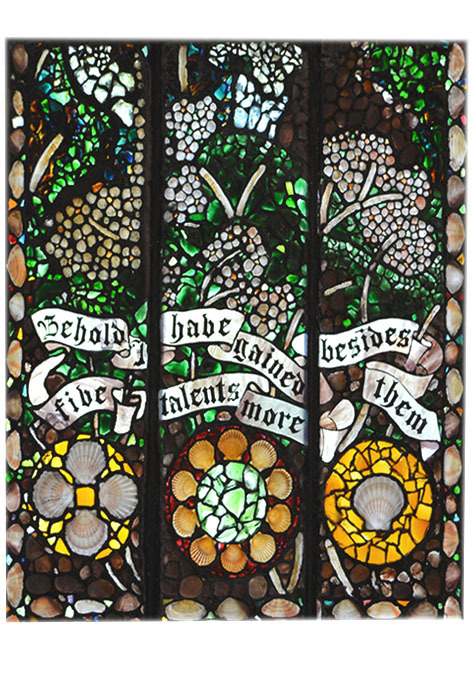 Along with conventional stained glass technique, he also used innovative adhesives to add transparent shells, pebbles, and beach glass, a process he called "marine mosaic." 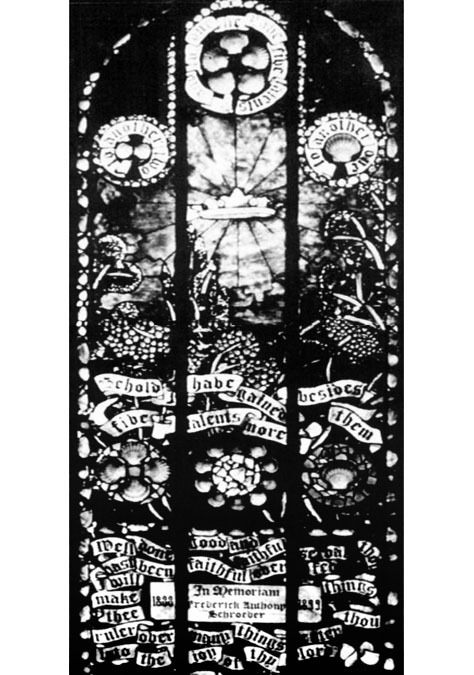 In 1906 he completed another impressive "marine mosaic" stained glass window in honor of Frederick Anthony Schroeder in the Union Chapel In The Grove on Shelter Island. 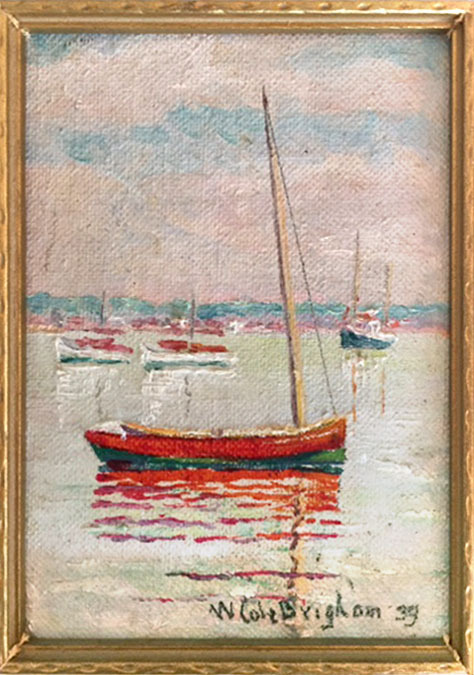 In 1910 he created several "marine mosaics" for St. Mary's Epsicopal Church on Shelter Island, as well as the Aldrich mansion near Sag Harbor, NY. On September 23, 1911 he married Jeanette Lawson. She was born 1883 in Indiana. Her father was the manager of the Manhanset House on Shelter Island, which was a magnificent family hotel on a terraced bluff overlooking Greenport Channel. On November 22, 1912 his son Harry Lawson Brigham was born. 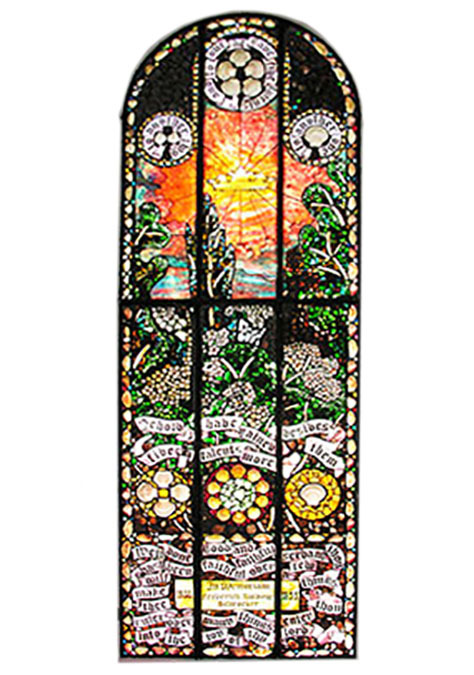 In 1915 Walter Cole Brigham created two large "marine mosaic" windows for the chapel of the Brooklyn Home For The Aged. 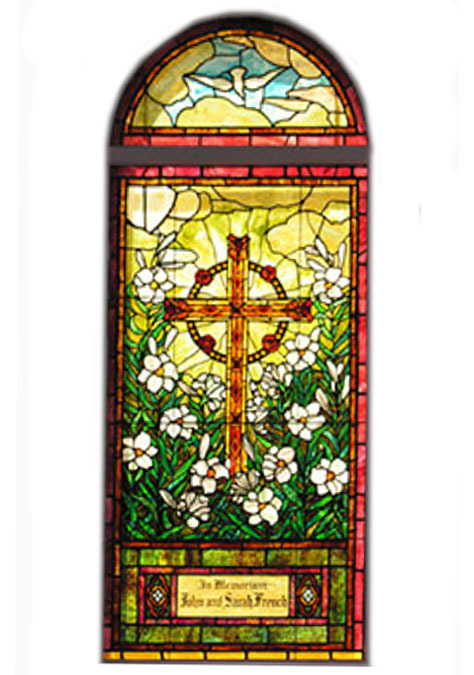 These were his final stained glass window projects. On February 4, 1919 his father died at the age of eighty-three, after which Walter Cole Brigham, and his two brothers, became independently wealthy, after which he became a successful investor in the insurance business. On May 16, 1921 his second son Walter Lawson Brigham was born. On May 5, 1922 his mother, Marion Billings Brigham, died at the age of eighty-five. In 1935 during the Great Depression, when all American industries suffered hard times, Walter Cole Brigham retired from the insurance business at the age of sixty-five. 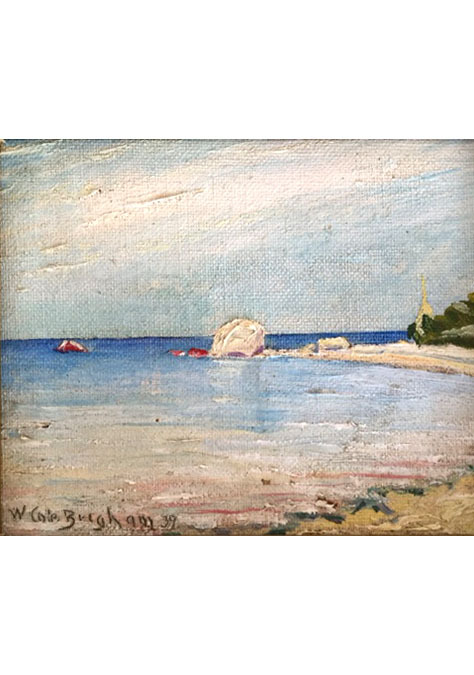 In 1936 he returned to the Art Students League of New York to study oil painting, after which he created a series of seascapes, in the American Impressionist style of William Merritt Chase, who had famously painted seascapes around his summer home in nearby East Hampton, NY. Walter Cole Brigham died at home on Shelter Island at the age of seventy-one, when he suffered a dizzy spell and fell down a flight of stairs on August 7, 1941.